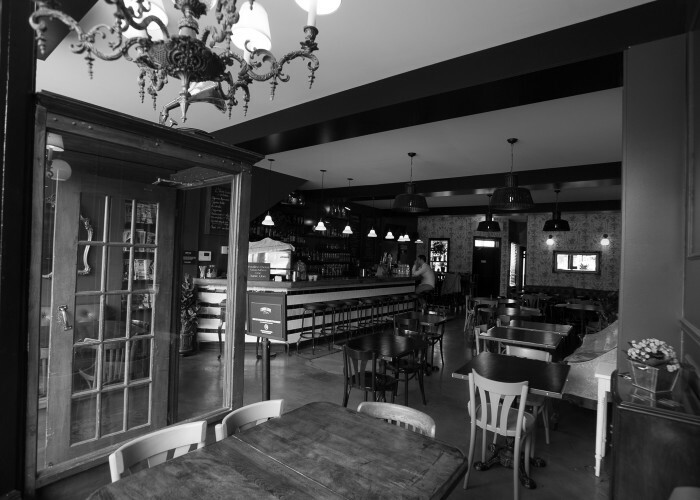 In the spring of 2014, Alex Bastide, a well-known entrepreneur from the skate and music scene, opened his first restaurant with the help of partners: L’Gros Luxe, on St-André Street. With its range of affordable comfort food, vegetarian fare and generous cocktails garnished with delectable edibles — all in a relaxed, friendly atmosphere and charming old-world setting — success was pretty much instantaneous. Two years later, the restaurant became a « victim » of its own success, barely able to accommodate the crowds of customers eager to eat at the establishment. It was time to move and a vacant space soon became the birthplace of Gros Luxe Version II. « I’ve always had the idea of ​​opening a 100 per cent veggie restaurant, being a vegetarian myself. It was a dream I’d been nurturing, » says Alex. And so in July 2016, L’Gros Luxe 100% Végé was born. The new location has everything that gave the chain its reputation — comfort food, a lively atmosphere, friendly service, affordable prices and creative mixology, all with a fully vegetarian and 80 per cent vegan menu. « There’s just nothing like it in Montreal. With vegetarian restaurants, it’s always more of a calm atmosphere, » says Alex. On the bar side of things, there’s wine, craft beer and spirits, but it’s the cocktails that are the attention-grabbers. « We run our bar just like we run our kitchen. We make our mixers in-house. We give our chefs and mixologists a lot of slack; they’ve got a lot of creating to do, » says Alex excitedly. At 100% Végé, Axel Boivin concocts sublime potions for the enjoyment of all the customers. And to allow more people to enjoy its restaurants, L’Gros Luxe offers a mobile application with menus, updates and VIP waiting lists. 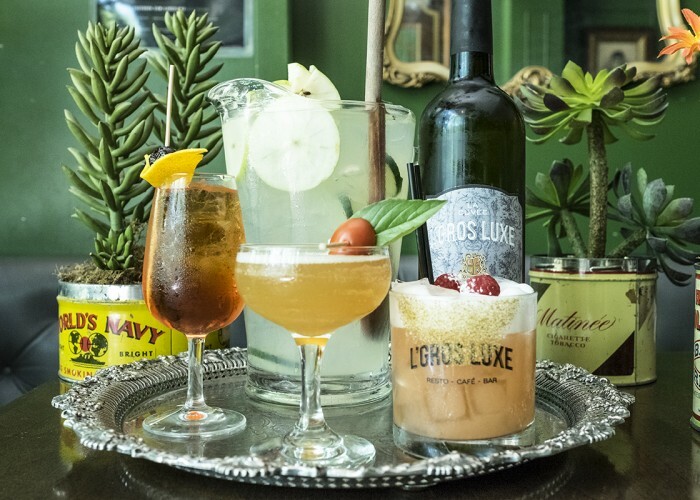 L’Gros Luxe — a truly luxurious comfort-food experience, vegetarian-style!